Egypt's new Sharia-based constitution has been approved in a second round of voting, the ruling Muslim Brotherhood party said. The country's opposition leveled accusations of fraud, saying it will appeal the referendum results and form a new party. 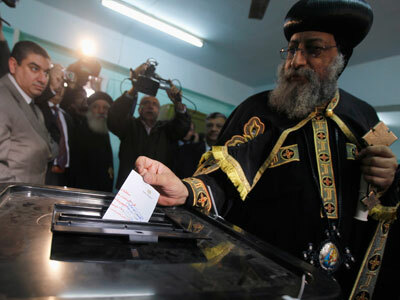 The new charter was approved by 64 percent of Egyptian voters in a “resounding victory,” state news agency al-Ahram reported on Sunday. The preliminary tallies were calculated from reports by polling station officials. 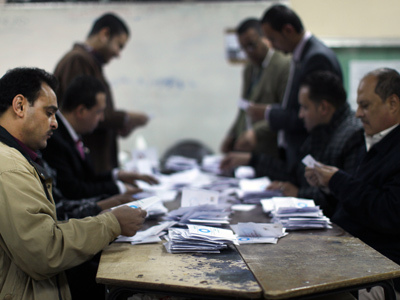 Egypt's election committee will confirm the final results on Monday. 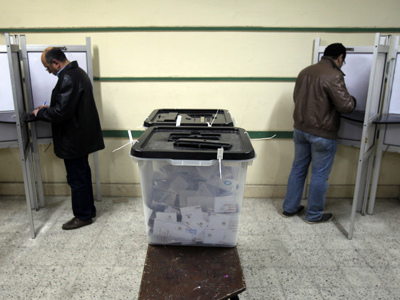 Egypt's main opposition party the National Salvation Front (NSF) announced Sunday it will appeal the results of the referendum. NSF members alleged there were multiple instances of “fraud and violations” during the voting process. The opposition will continue the struggle by joining forces and forming a new party on the basis of the National Salvation Front, Mohamed Abul-Ghar, the head of Egypt’s Social Democratic party declared on Sunday. The official results are expected to be announced on Monday, but the opposition has demanded that a proper investigation should be made first. “We stand firm with the idea that we are against any results being officially announced before the High Committee for Election to announce its final verdict on the evidence we have submitted of widespread rigging and corruption of the ballot boxes,” Ahmed Hawary, a member of the opposition party al-Dostour told RT. He went on to describe some cases of Muslim Brotherhood supporters shutting of the power and closing polling stations where the voting balance was not in favor of the constitution. 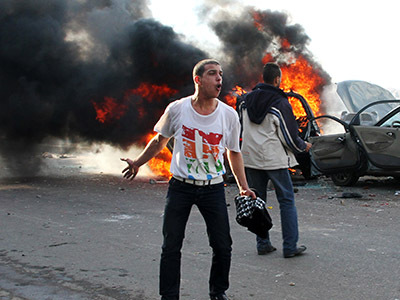 Cairo-based journalist Bel Trew told RT. There were also reports of Salafist groups at polling stations coercing people into voting 'yes' on the new document, Trew said. The opposition also criticized the first round of voting last Saturday, citing various incidents of fraud that have yet to be investigated. 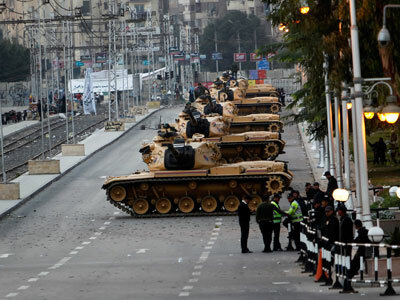 The Egyptian opposition remains fiercely opposed to the new constitution, which was authored up by the Islamist-dominated Constituent Assembly. Opposition activists argue that the charter, which is based on Sharia law, is an affront to the values of the revolution that toppled former President Hosni Mubarak last year, and that it marginalizes Egypt's minority groups. The ruling Muslim Brotherhood party maintains that the constitution is necessary for Egypt’s transition to democracy and stability, and that the document's approval will allow parliamentary elections to take place in three months. Shortly before the polls closed on Saturday night, Egyptian Vice President Mahmoud Mekki announced his resignation, saying that the “nature of politics” did not favor his professional background. Media outlets have speculated that his resignation is linked to the fact that there is no vice presidency under the new constitution. The new constitution has polarized Egyptian society, triggering mass protests both for and against the contested legislation. The eve of the second round of voting saw mass protests in Egypt’s second-largest city of Alexandria, where supporters of the new charter clashed with opposition activists. 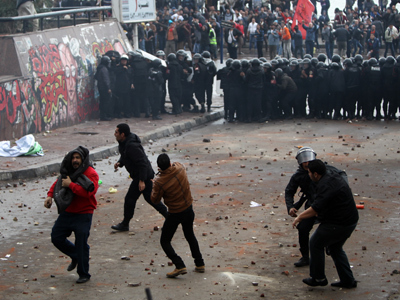 Police fired tear gas to disperse the crowd, and 50 people were reportedly injured in the ensuing violence. Cairo-based journalist Wael Eskander said in an interview with RT that the new constitution was very flawed. “It takes away more freedoms, it gives police powers to detain people for more than 12 hours,” he said. The numerous reports of voting irregularities showed that the “regime is determined to see the new legislation pass,” Eskander explained.